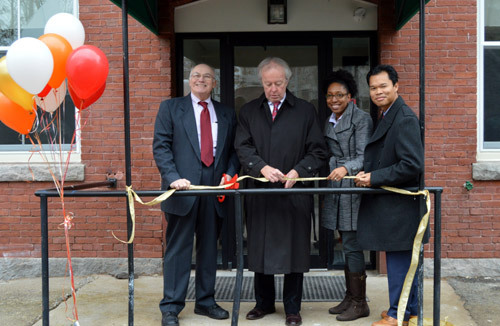 On November 19, 2015, The Broadway Street Apartments II in Lowell, Massachusetts developed by Common Ground Development Corporation (CGDC) – part of the private, Lowell-based nonprofit Community Teamwork — celebrated construction completion by hosting a ribbon cutting ceremony for the new affordable housing units that welcome all families, with a preference for persons living in emergency assistance state-funded shelters for the homeless. The three apartments will be leased and managed by full-service real estate firm Peabody Properties, Inc. and are housed within a restored historic building. The apartments will be available through a lottery drawing on December 21 at the Pollard Memorial Library.